Edward Butts Lewis was an eminent scientist, known for his work on genetics of the common fruit fly. Check out this biography to know about his childhood, life, achievements, works & timeline. Edward Butts Lewis was an eminent scientist, known for his work on genetics of the common fruit fly (Drosophila melanosgaster). Born in the early twentieth century, his childhood as well as youth was spent under financial paucity because his watchmaker-jeweler father lost his job at the start of the Great Depression. Yet it could not rob him of his energy, wit and inquisitiveness. He started working with Drosophila while in school. Later he earned his bachelor’s degree in biostatistics from the University of Minnesota and his PhD in Genetics from Caltech. During this period, he also invented ‘cis-trans’ test, which is still taught in the introductory undergraduate biological courses. However, he could begin his actual research works only after returning to Caltech after a brief war service. 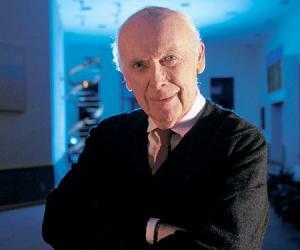 He mostly worked on genetics and it earned him number of awards including the Nobel Prize. Equally significant was his study on the effects of radiation on human health. He fought to establish that even low level of radiation is bad for health. Although short in stature, he was great in all kinds of human quality and was greatly respected for his modesty, personal integrity and intellect. Edward Butts Lewis was born on May 20, 1918, in Wilkes-Barre, Pennsylvania. His father, also Edward Butts Lewis, worked in a jewelry store as watchmaker-jeweler. When in 1929, the Great Depression set in, he lost his job and the family had to face tremendous economic hardship. In spite of that, Edward’s mother, Laura Mary Lewis (née Histed), always encouraged her children to study. His only brother, James Lewis, was five and half years older to him. They also had a sister, Mary Louise Lewis, who died the night before James was born. Edward had his early education at Elmer L. Meyers Junior/Senior High School. While studying there he developed an interest in biology and was especially interested in toads and snakes. Once his mother found a rattlesnake in his cupboard; he had kept it there because he was yet to build a terrarium for it. During this period, he also paid regular visit to the Wilkes-Barre’s Osterhout Public Library. There in 1933/1934, he saw an advertisement for fruit flies (Drosophila melanosgaster) in the Science Magazine and acquired large number of it for the school’s biology club. Next, Lewis and his classmate Edward Novitski began breeding them in the school laboratory and once new flies were hatched, they studied them under magnifying glass trying to find rare mutants. The event unknowingly launched him in his future career. However, young Edward was also an accomplished flautist. He had started playing the flute at the age of ten and regularly took part both at school orchestra and the Wilkes-Barre Symphony. After passing out from school in 1935, he joined Bucknell University with a music scholarship; but shifted to the University of Minnesota in the following year, largely because its tuition fee was by far more affordable. Here he continued his undergraduate studies in biostatistics and genetics. During this period, Edward received financial assistance from his brother James, whom he admired very much. Also, Clarence P. Oliver, Professor of Genetics, gave him a desk in his laboratory and also the freedom to continue the Drosophila work, something that he started in school. 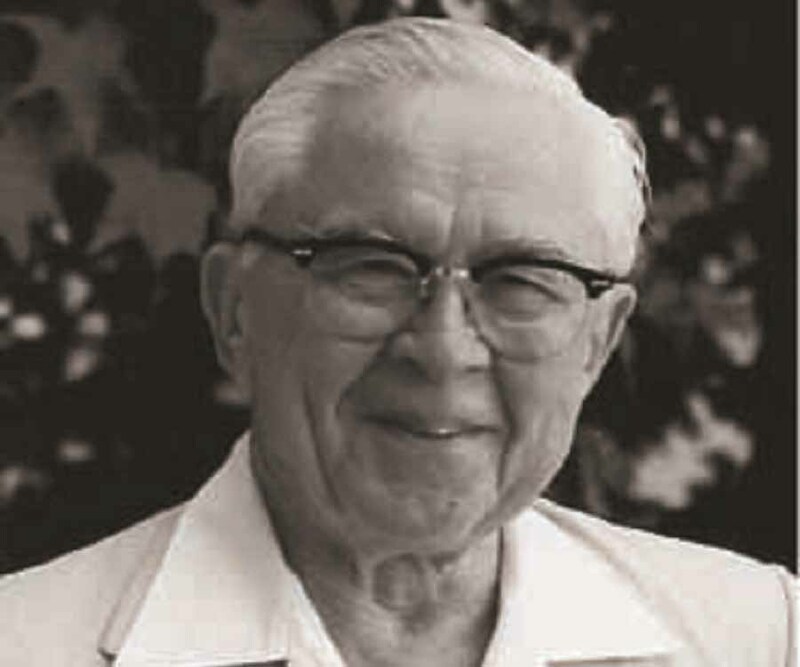 In 1939, Edward Lewis earned his bachelor’s degree in biostatistics and joined California Institute of Technology (Caltech) for his doctoral work. Here, he worked under the guidance of Alfred Sturtevant, a renowned Drosophila expert. His work focused on how the position of genes in the chromosomes affects their function. In 1942, Lewis earned his PhD in genetics. His thesis was titled ‘A genetic and cytological analysis of a tandem duplication and its included loci in Drosophila melanogaster’. During this period, he also invented a test for gene function known as the ‘cis-trans’ test. It formed the foundation for his later discoveries. Subsequently, Lewis enrolled in the U.S. Army Air Corps training program in meteorology as a cadet and received his M.S. degree in meteorology in 1943. Thereafter, he spent the World War II years, serving as a meteorologist and oceanographer in the U.S. Air Force. In 1946, on being released from the military service, Edward Lewis joined California Institute of Technology as an instructor in the Biology Division. In the same year, he was given the responsibility for supervising the extensive Caltech Drosophila Stock Center and began working with them. In 1947-1948, he worked as a Rockefeller Foundation Fellow at the University of Cambridge. On coming back to the U.S.A, he rejoined Caltech as an Assistant Professor of Biology and served in that capacity from 1948 to 1949. In 1949, he was promoted to the post of the Associate Professor of Biology. He soon discovered that the bithorax family of mutants was actually a cluster of genes. Eventually, he called them the bithorax gene complex. In 1951, he hypothesized that the bithorax gene cluster functioned as a regulator of the body plan and controlled the development of particular body segments. He also concluded that mutations in this region changes one segment of the body into copy of the adjacent segment. In 1956, Lewis became a full Professor of Biology, remaining in the post till 1966. Meanwhile from the middle of the 1950s, he started a study on the effects nuclear tests, X-rays and other sources of radiations on human health. For this work, he went through the medical records of survivors at Hiroshima and Nagasaki, as well as radiologists and patients exposed to X-rays. He also worked with Drosophila on this. Finally in 1957, he published a comprehensive paper on it, titled ‘Leukemia and Ionizing Radiation’. In this paper, he not only calculated the increased risk of leukemia from radiation, but also declared that "health risks from radiation had been underestimated". His findings were challenged by nuclear scientists who claimed low doses of radiation did not do any harm. Ultimately, his points prevailed. In 1966, Lewis became the Thomas Hunt Morgan Professor of Biology at Caltech, remaining in this position till 1988. Meanwhile from 1975-76, he was also the Visiting Professor, Institute of Genetics, University of Copenhagen, Denmark. In 1982, he identified the gene clusters, important for early embryonic development and referred to them as ‘master control’. Subsequently, he also identified the corresponding genes in humans. In 1988, Lewis retired from regular service and became Thomas Hunt Morgan Professor of Biology, Emeritus at the same institute. He then continued working with Drosophila and submitted his last article for publication a month before his death. Edward B. Lewis is best remembered for his discovery of Drosophila Bithorax gene complex and illumination of its function. He also established that genes are arranged according to colinearity principle, which means they appear in the same order as their corresponding body segments. He explained that the first set of genes controls the functions of head and thorax; the middle set controls the functions of abdomen; and the last set controls the functions of the posterior section. He also pointed out this genetic functions may overlap and this he established with a creation of a mutant fly with four wings. 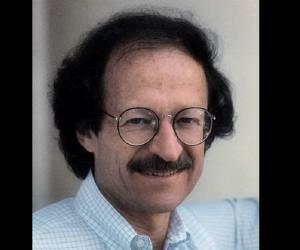 His work with Drosophila laid the foundation of developmental genetics. It also helped scientists to understand the reason behind different types of deformities, both in humans and higher animals. In 1995, Edward B. Lewis received the Nobel Prize in Physiology or Medicine for his “discoveries concerning the genetic control of early embryonic development". He shared the prize with Christiane Nüsslein-Volhard and Eric F. Wieschaus, who independently worked on the same topic. 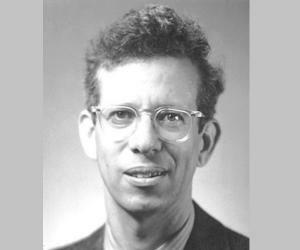 Other major awards received by him were, the Thomas Hunt Morgan Medal (1983), the Albert Lasker Award for Basic Medical Research (1991) and the Louisa Gross Horwitz Prize (1992). 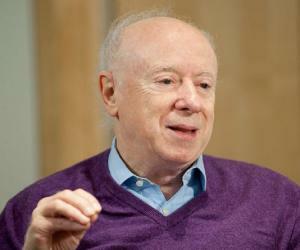 In 1989, he became a Foreign Member of the Royal Society, London. Other than that, he was also member of many other societies at home and abroad such as National Academy of Sciences, the Genetics Society of America, and the American Philosophical Society etc. In 1946, Edward Lewis met Pamela Harrah. She was a Stanford graduate, who joined Caltech as stock keeper of the Caltech Drosophila Stock Center on the invitation of George W. Beadle. She was also an accomplished artist whose paintings would always have insects in them. Edward and Pamela got married a few months after their meeting and remained together until his death. They had three sons; Hugh, Glenn, and Keith. Among them, Glen has passed away. Hugh is now an attorney at Bellingham and Keith is a biology research assistant at Berkeley. Edward B. Lewis died from prostate cancer on July 21, 2004. Since his father’s name was also Edward Butts Lewis, his full name was meant to be Edward Butts Lewis Junior. But while filling up the birth certificate form, his parents forgot to add Junior and so he too remained as Edward Butts Lewis.